* Celebrate the big day with a shot - or at least a shot glass. 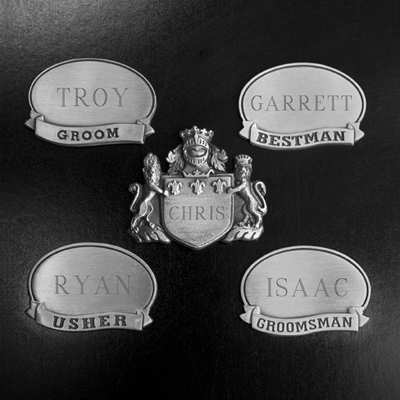 * Choose from our five medallion options and personalize it with your buddy's name. 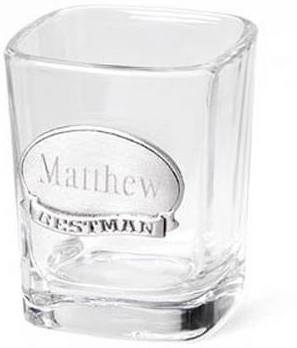 * Each clear glass shot glass with pewter medallion measures 2 1/2" in height and holds 2.25 ounces. 2.5" x 2" x 2"